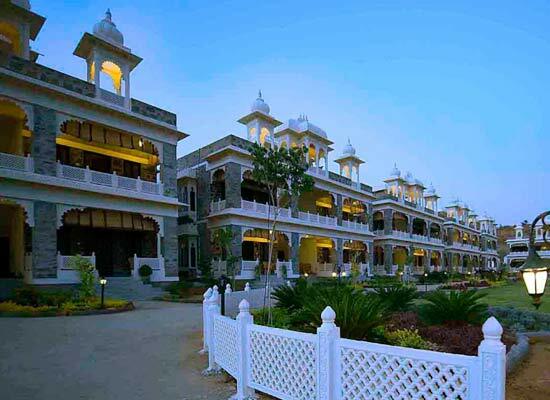 "Placed amid mountainous ranges and well-maintained lush gardens, the Udai Bagh is one of the most popular heritage style hotels in Udaipur. A true specimen of the erstwhile royalty of the region, the property has been designed in such a manner that it offers all the comforts and luxuries experienced by the former kings and queens. The hotel offers well-equipped 42 rooms and suites, multi-cuisine restaurant, well-stocked bar and other modern conveniences. A stay here would surely be a memorable experience. 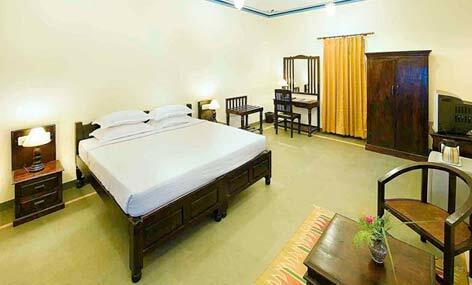 One of the heritage style hotels of Udaipur, Udai Bagh consists of spacious and elegant 42 deluxe rooms and suites (2) that boast of traditional interiors. From the huge private balcony of your room, admire amazing views of the Aravalli ranges and lush garden spaces. The staff ensures that they give you a memorable royal hospitality. The regal décor has been clubbed with a vast variety of contemporary facilities and amenities such as Air-Conditioner, Private sit-out, Satellite Television, One Touch phone dialing, Tea/Coffee maker, Wi-fi connection, Well -stocked soft bar etc. The attached bathrooms come with all the toiletries and round the clock running hot and cold water. 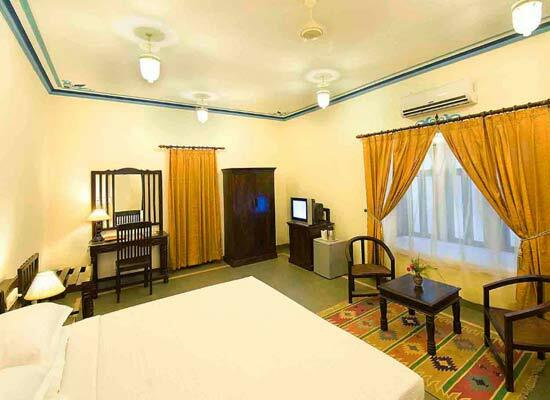 Guests can chose from double and twin bedded rooms, as per preference. At the multi-cuisine restaurant of Udai Bagh, guests can savor lip-smacking delicacies of Indian and popular World fares, prepared by the trained chef and his tea, using aromatic spices and fresh ingredients. The staff is very well-mannered. The Udai Bagh also has an on-site, well-stocked bar that is an ideal space to completely relax and have leisure chit-chat with loved ones. Soft music playing in the background sets the mood. The menu includes of a variety of exotic beverages. One of the most romantic cities in India, Udaipur is also known as ‘City of Lakes’. The city receives a crazy footfall from all around the world. Some of the most popular tourist attractions of Udaipur are City Palace, Sahelion-ki-Baori, Lake Pichola, Fateh Sagar Lake, Sajjangarh, Ambrai Ghat and more.